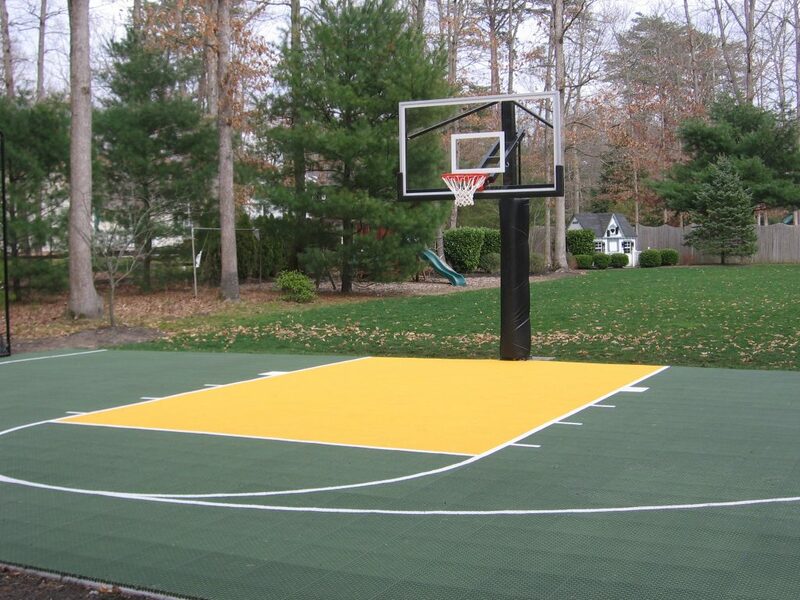 DeShayes Dream Courts specializes in consulting, designing, and constructing professionally installed backyard basketball courts, driveway basketball courts, indoor basketball courts, tennis courts, multi-use courts, and more in NJ, PA, across the US, and internationally. Having been in the court business for over 40 years, owner Joe DeShayes has become an expert in basketball court design, construction, and installation and works directly with all clients throughout the entire process. If you are looking for a court that will make all the kids in the neighborhood want to play at your house, DeShayes Dream Courts can design & build the court they have all been dreaming of. DeShayes Dream Courts consults, designs, and builds across the US and internationally and is located in New Jersey. Our backboards and rims are the same backboards and rims that we install in grade schools, high schools, and sports facilities across the US and internationally. So when your children and their friends are playing on your court, it’s exactly like playing in a real basketball game, giving everyone a competitive edge. All of our backboards and components are made in the USA. DeShayes Dream Courts also offers multiple different surfaces to guarantee that we are providing you with the best possible basketball court options for your specific property. We are not a franchise that has one solution that is the best for everyone. We work directly with all manufacturers and have access to all of the latest and greatest sports surfaces available in the world. We are constantly researching and testing new materials as they become available to the residential basketball court market. One of many things that sets DeShayes Dream Courts apart is our Platinum Service Plan. Every DeShayes Dream Court comes with an unconditional 10-year guarantee. 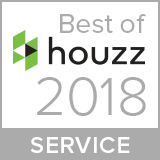 Every year, someone from our team will come by your home and change the net on your basketball hoop, clean the backboard, grease the bearings in the actuator (the jack that adjusts the height), WD40 all moving joints, touch up any scratches or dings on the paint of your basketball unit, and blow off your court. Taking care of your basketball court reassures us that your court will always look great and will last well beyond our 10-year guarantee. Although the company is small, our scope of work is anything but. One of our most unique jobs takes place on the beach in Cabo San Lucas, Mexico. That’s right, on the beach in Mexico, and it’s a full size basketball court! One of our clients hosts a private event in Cabo every year and during that event they have a basketball tournament. Business owner, Joe DeShayes, says being able to play basketball while feeling the ocean mist and breeze is an experience beyond compare to the regular outdoor courts off the beach. “If only we could provide oceans for all of our clients!” he joked. The basketball court is temporary, so it is installed, played on, and uninstalled within a 14-day period. The installation process requires extreme precision and numerous steps to create the most functional and aesthetically pleasing basketball court possible. Full backyard basketball court with a net post on each side so a net can be easily installed to play volleyball or badminton. Official size full backyard basketball court with custom colors, team logo, and professional grade adjustable basketball units for active play for toddlers to adults. Full backyard basketball court with reduced length to accommodate local zoning restrictions. This court is used for 5 on 5 adult basketball league play. Although not the team colors, this backyard half basketball court was designed and installed for use by a former NFL Superbowl MVP and his family. This custom basketball court includes custom colors and a 3D basketball painted in the top of the key. Court yard basketball court located at a school for autistic children. This modular sports tile flooring affords the additional safety benefits of reducing the potential for skeletal trauma, concussions, and shin splits. Indoor basketball court with professional grade suspended maple flooring, custom logo, wall pads, and convenient basketball storage. Indoor garage half basketball court with wall mounted basketball unit, radiant heat floor, and apoxy finish. The best way to heat a garage basketball court is with radiant heat because all of the heat is maintained in the first 7ft off the ground. Radiant heat is also preferred because it doesn’t dry out the air like forced hot air heat. Final product of a renovated 90 year old indoor basketball court in Camden, NJ. This project was unique because of the limited space available, requiring a line arrangement that fit and still allowed for competitive full court play. Here at DeShayes Dream Courts we know the importance of family and we know how much value a happy child can bring to our lives. 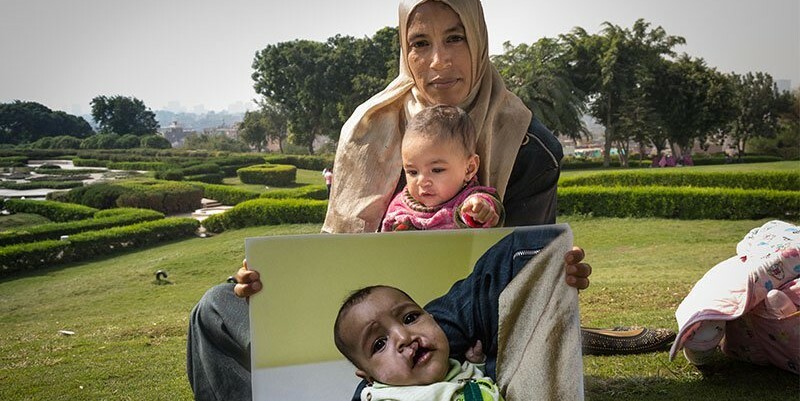 That’s why with every basketball court sold, we donate the cost of one cleft lip operation, through Smile Train, on the behalf of the client so that a less fortunate child will finally be able to smile, as should be the right of all children. 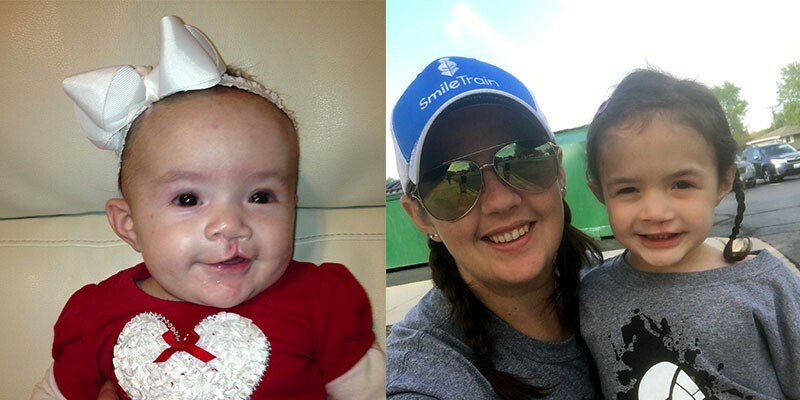 Our wish is that every child has many reasons to smile, and our mission is to make a DeShayes Dream Court one of those reasons!